A beautiful every-day statement of style. 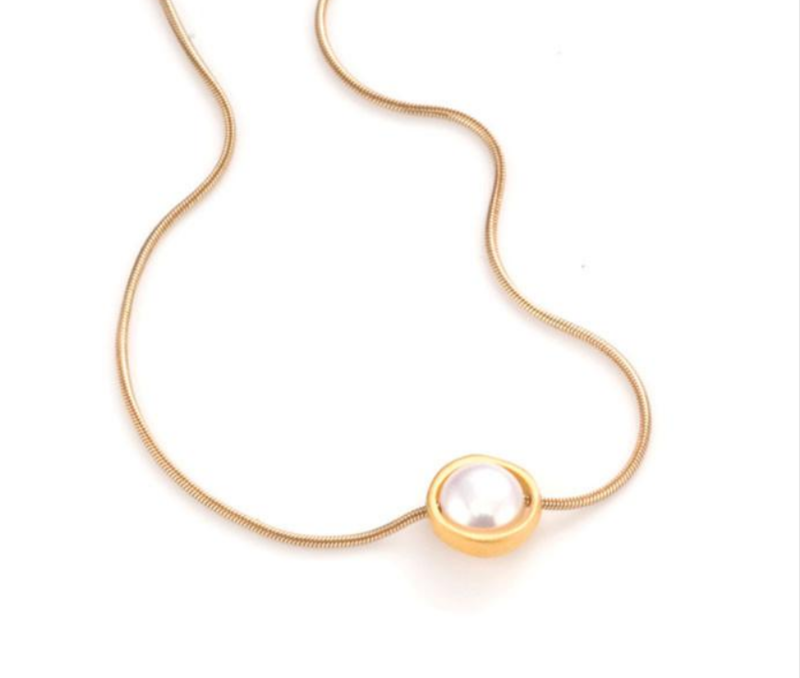 Pendant made of brushed vermeil (gold over sterling silver) with a pearl. In 1996 Philippa Roberts established her first studio in the basement of her San Francisco apartment building. What started as a small, hopeful business has developed into a studio attached to her shop in Oakland, CA.